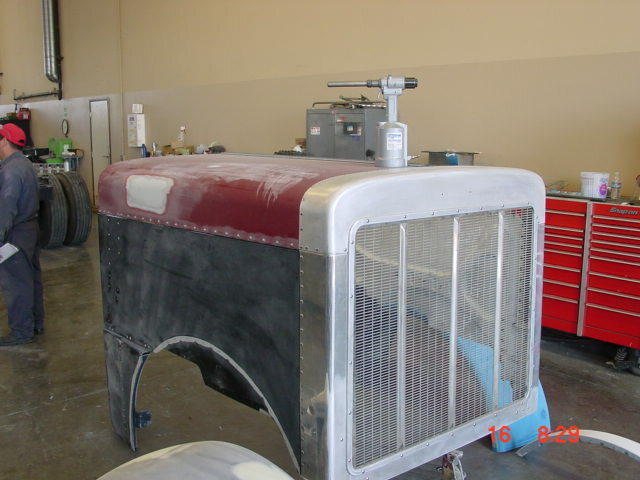 This is a pic of a peterbuilt hood that was just reassembled with Huck Bolts. 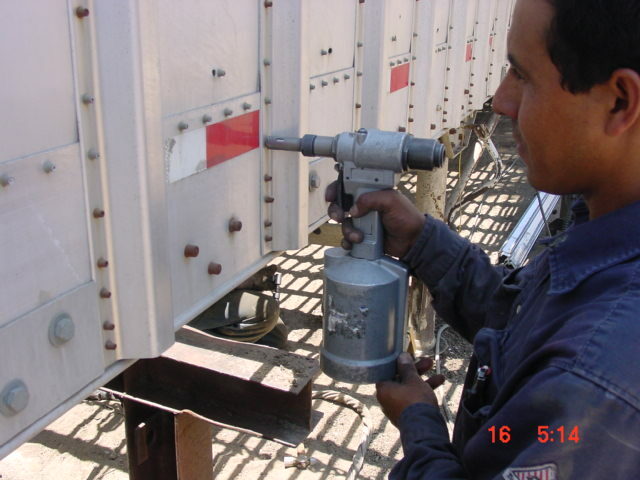 The 3/16 stainless steel Huck Pins and collars were used here and installed using a BP-82E Lockbolt All-In-One tool (This style of tool is commonly referred to as a Huck Tool or Huck Gun). The second half of the perfect storm is this transfer trailer. This trailer hauls materials like trash and fertilizer and other materials. They usually have walking floors, also known as automatic unloading systems. They use 3/16 steel pins to hold the light-weight aluminum panels together.